Australian ASLAVs of 2 Cavalry Regiment are bound for Timor and part of the United nations peacekeeping force that replaced INTERFET. 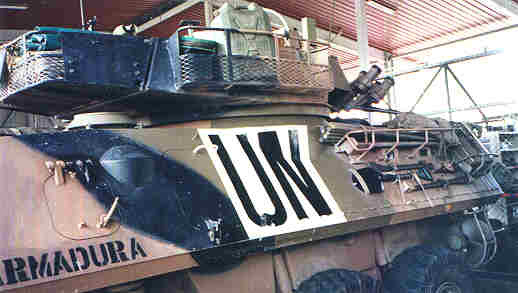 The vehicles remain in the standard Australian army camouflage scheme of brown, green and black, but with large UN markings. 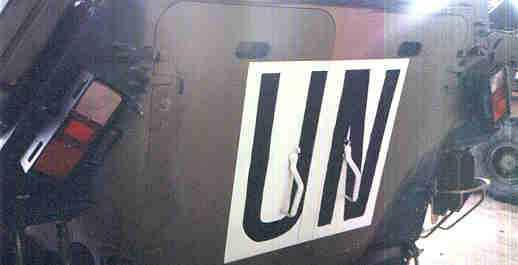 The air intake grill has been painted white with the black UN letters painted on it. The letters are positioned so that they can be read correctly when the turret is facing forward.